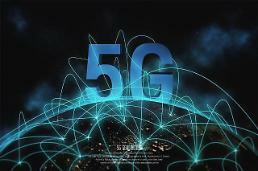 BARCELONA - SK Telecom will forge exclusive partnerships with American augmented reality (AR) technology companies as the mobile carrier thinks AR glasses will replace smartphones and laptops in the 5G era. SK Telecom (SKT) CEO Park Jung-ho told reporters Tuesday at MWC, the world's biggest mobile device exhibition, in Spain that AR glasses would replace smartphones and laptops by converging their features. AR glasses are a type of headsets which display information and interact with the actual environment around the wearer. Unimaginable experiences such as watching an actual sports play at a stadium and receiving real-time information from sports commentators would become a reality, Park said, adding AR would bring changes to medical, defense and many other industries in the next five to ten years. 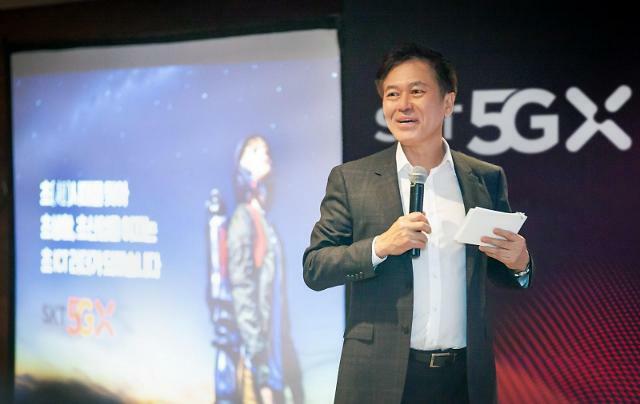 He said SKT would partner with global AR technology companies including Magic Leap, an American AR hardware maker, and Niantic, an American AR software maker known for its Pokemon Go game, to become a leader in the rapidly growing global AR market. Park said SKT plans to adopt Magic Leap's AR glasses to create a related ecosystem and release AR glasses installed with 5G communication modules. By using 5G-connected AR glasses, wearers can turn their lounge into a virtual space such as a famous museum located on the other side of the globe or a shopping mall in other countries. SKT will team up with Niantic to establish a special AR gaming environment and develop a technology platform. T1 game, a professional gaming division of SKT, will cooperate with Comcast, an American telecommunications conglomerate, to create special AR and virtual reality contents.